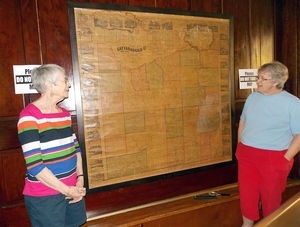 The Association's permanent meeting site, and shelter for historical artifacts and genealogy records, is in the former United Methodist Church located at 25 N. Second Street in the village of Allegany. The church, a local historical landmark, was constructed in 1855 by the Methodist Episcopal Congregation, one of the earliest religious societies in the village. The Association now owns the building. The layout of the church has been preserved, including the original pews and pulpit. May 1st- Sept 30: each Wednesday from 1-4pm or for special events that can be found on their Facebook page! Volunteers will be available during that time to help you in your research. They have research materials available for sale on their website, as well as a lot of historical information and sign up for their Newsletter!